The 2016 Bresler Resident artists discuss their residency projects and the practice of drawing and painting with co-moderators W.C. Richardson and Laura Roulet. W.C. Richardson, Professor of Painting and Drawing, and Chair of the Department of Art at the University of Maryland, College Park, has had twenty-one solo exhibitions and over 100 group exhibitions in galleries and museums. Laura Roulet is an independent curator and writer, specializing in contemporary and Latin American art. She has been involved in 5×5, major public art initiative, as well as exhibitions in DC, Mexico City, and Puerto Rico. About the Fleur and Charles Bresler Residency: This residency provides a unique opportunity for a dynamic individual artist or collaborative artist team to create a new body of work, evolve an existing body of work, or develop a project in a stimulating, supportive environment. Studio space is provided free of charge. The residency encourages interaction, dialogue, and exploration both within the VisArts artist community and the larger Rockville community as well. The residency offers the gift of time and space to three artists and/or collaborative artist teams each year to experiment and realize new work. 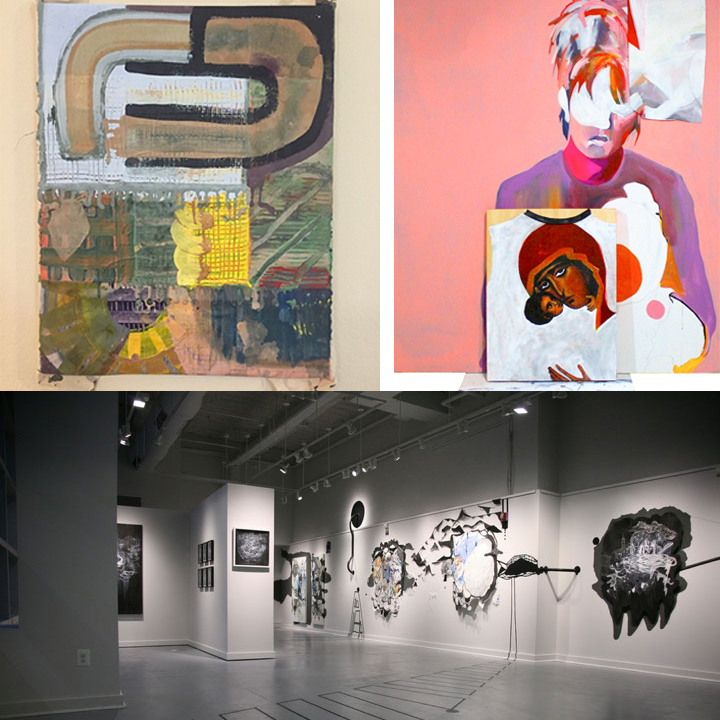 Each year the current Bresler Resident Artists present their work in a three-person exhibition at VisArts. Bresler Residency application information is available at: www.visartscenter.org.